In the Netherlands, the XBRL standard has become an essential part of the strategy for filing business reports. The Netherlands Bank (DNB) and the Standard Business Reporting (SBR) are the key designers of Netherlands XBRL taxonomies. Whereas the SBR is a brilliantinitiative underpinned by a mix of public and private institutions. It produced and maintains the Dutch Taxonomy, which is the “dictionary” defining data you need to shape the mandatory legal rapportages. These are architected in a logical way and produced at various moments of the year, depending on the types of business and legal directives. Every year, the Dutch Taxonomy is upgraded to reflect evolutions and changes in the legislation. 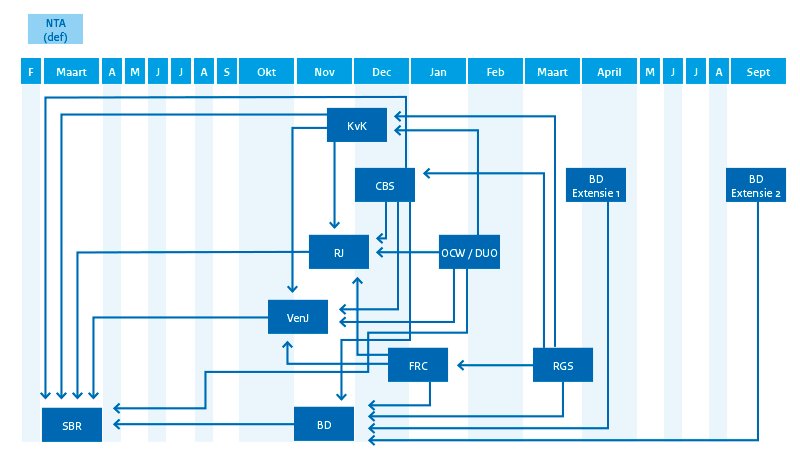 Each rapportage-demanding party, such as BD (Belastingdienst), BZK (Binnenlandse Zaken), CBS (Centraal Bureau voor de Statistiek), KvK (Kamer van Koophandel), or OCW (Onderwijs, Cultuur en Wetenschap), observes their own calendar for publishing these upgrades. Other parties such as EZ (Economische Zaken), (IASB) International Accounting Standards Board, RJ (Raad voor de Jaarverslaggeving) or VenJ (Veiligheid en Justitie) do the same. Start with the customer – find out what they want and give it to them. Pension funds, with the Institutions for Occupational Retirement Provision Directive (IORP II, for 2019!). Needless to say the situation is complex for Dutch filing companies, advisers and software producers! We solve it all by design. 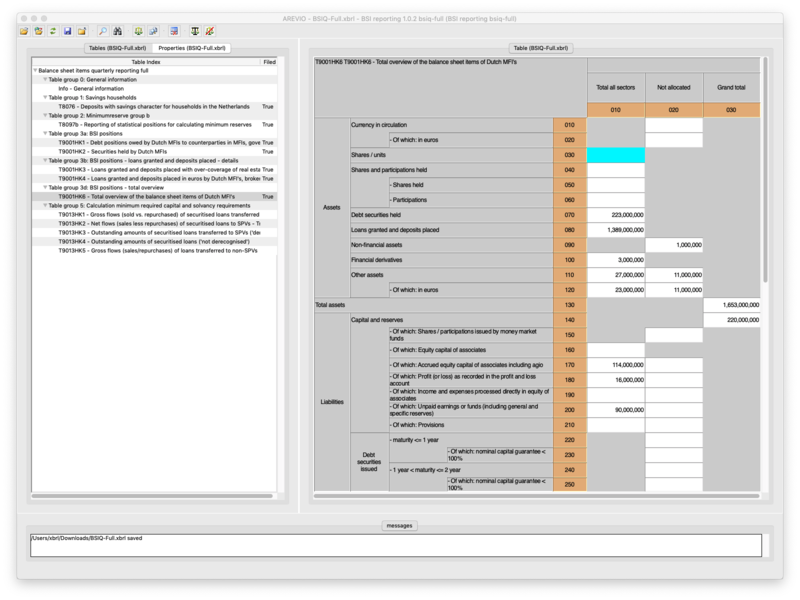 Indeed, Arevio Dutch edition is conceived so as to welcome and adopt all new or changed taxonomies without any change to the software. All you need to do is to download the relevant taxonomy files, feed them into AREVIO, and that’s it!No delay, no hassle, no extra-cost! Also, as your favourite spreadsheet engine is natively supported, this eases nicely data encoding. And the icing on the cake is that it works for any kind of presentation, including inline XBRL (iXBRL) – which will be all the more important that the listed companies will soon be obliged to submit filings under the European Single Electronic Format (ESEF), as brewed by the European Securities and Markets Authority (ESMA). Feeling like improving your reporting chain for more flexibility and efficiency? Tired of wasting time and precious money re-running XBRL validation endlessly? Eager to simplify your capture of data “facts” and to render them swiftly onto easy-to-validate XBRL instances and reports? Streamline your process for next year’s reporting, strip dispensable editorial consulting fees. It costs nothing to request a discovery version of Arevio Dutch edition!